Do you like to dress up your front door for each holiday? If you’re like me you love to change it up each season. Sometimes it’s a simple decoration and other times it can be a little over the top. This DIY Fall Harvest Wreath may look complicated, but it really is simple to make. 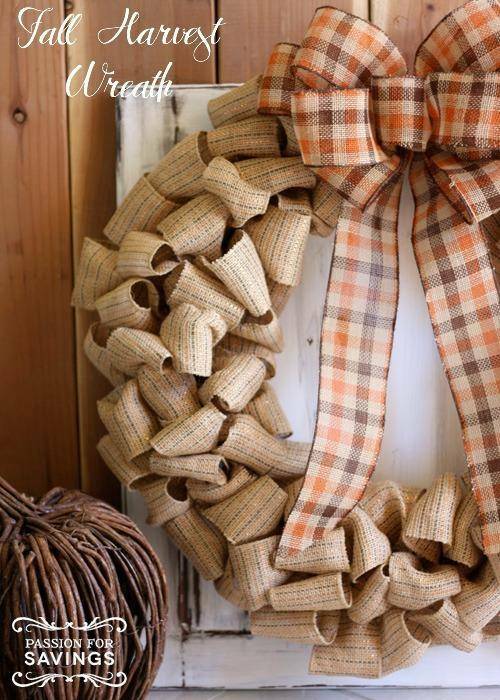 And it makes a great addition to any door, fireplace or anywhere you need an added touch of fall. The only things you need are an 18″ wire wreath form and some burlap ribbon. Now there are lots of different options when it comes to burlap ribbon. You can use plain burlap that might be a little thicker, burlap with patterns, or this ribbon I choose looks like burlap but is actually jute ribbon with a wire edge. Your choice of ribbon will determine how much you will need to make your wreath. thicker burlap ribbon you will need less and the jute ribbon that I used, I needed more. I like a full wreath so I use 15 – 20 yards of ribbon. 15 yards for thicker ribbon and 20 for thinner. The best idea is to buy more and return what you don’t use, if that is a possibility. To get started, hook the end of your ribbon onto one of the wires that holds the wreath form together. Then wrap your ribbon around to the back of the wreath form and push a section of the ribbon through one of the 3 openings in the back of the ribbon, creating a loop. You can make big loops or small loops depending on the look you like. You don’t pull the ribbon all the way through. Then you will go to the next opening in the back and push another section of the ribbon through that spot, making the loop about the same size. You go up and down through all 3 sections in a random order. You can see in the last picture below, the back of the wreath. As you go back and forth making your loops, push them together to get a fuller look to your wreath. You finish and start your wreath the same way. Hooking the end of the wreath onto one of the wires that crosses the wire wreath form. The back of my burlap wreaths are never very pretty and look very random. So don’t fret if yours doesn’t look perfect. Like I said, I like my wreath to be full, so my loops are pretty close together. I just kept going up and down through all sections of the wreath form until I filled up the entire wreath. Then you can kind of tweak the loops on your wreath to get the look you want. You can leave your wreath just the burlap ribbon, which is great for a ribbon with a pattern or add a little something to it. I decided to add a big bow to my wreath to finish it off. 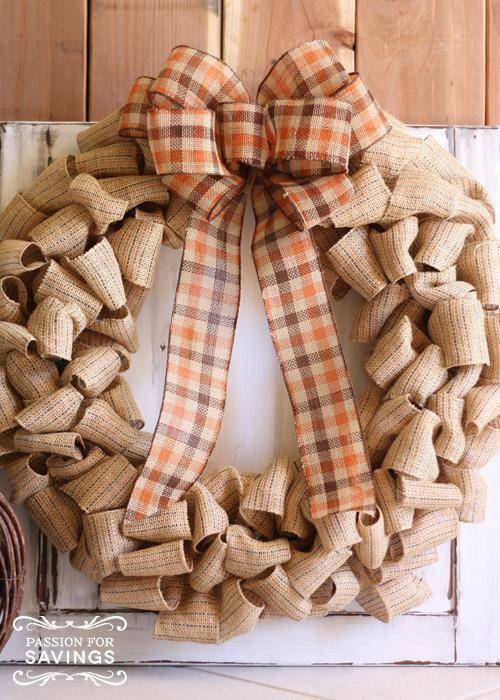 With or without the bow this fall harvest wreath looks great! And it goes perfectly with any fall decor. I decided to add it to my fireplace so I could enjoy all it’s Fall beauty. This wreath really is easy to make. It just takes a little time making the all the loops, but it was done in an hour. Crafts that don’t take a lot of time are my favorite! Can you tell me where you got this ribbon? I loe this idea. I have been looking for a way to jazz up my front door for Fall. Thanks so much! 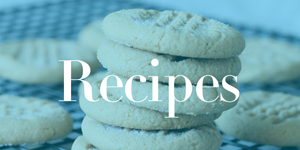 Apple Cinnamon Oats Crockpot Recipe!